Welcome to March, Taste Washington Wine month. Wineries, restaurants and retailers promote the many wines Washington has to offer. It culminates at the end of the month with Taste Washington, a four-day event celebrating Washington wine and food. The wine industry in Washington is new compared with Bordeaux, where there are thousands of chateaux producing wine from Cabernet, Merlot and the other permitted grape varieties. In comparison, Washington has 900-plus wineries and a little more than 60,000 acres planted to vineyards, making it No. 2 in wine production behind California with its approximately 4,500 wineries and 880,000 acres under vine. Kicking off the Taste Washington Wine month, the Walla Walla Wine Alliance came rolling into town to promote that corner of the Washington wine industry. It was a wonderful opportunity to catch up and get acquainted with some of the newer wineries from that American Viticultural Area (AVA). Walla Walla Valley is one of four Washington AVAs that include portions of neighboring states, most into Oregon and one into Idaho. Walla Walla has one recently recognized a sub-AVA, the Rocks District of Milton-Freewater. This AVA lies entirely within the Oregon portion of Walla Walla Valley. Most of the vineyards are in the hills that flank the Walla Walla River, a tributary of the mighty Columbia River. The climate is perfect for traditional Bordeaux varieties such as Cabernet, Merlot, Cab Franc, Petite Verdot and Malbec. This is also Rhone varietal country with plantings aplenty of Syrah and Grenache with a sprinkling of Mourvedre, and whites Grenache Blanc, Viognier, Rousanne and Marsanne. There are also vineyards planted to the Spanish grape Tempranillo and the long-lost Bordeaux variety, Carménère, which is making a meteoric comeback in Chile and Walla Walla. 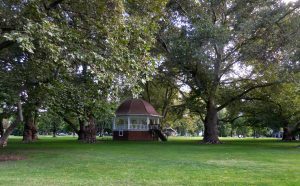 One of the oldest settlements in Washington, Walla Walla was a trading post for the Idaho gold rush and French fur trappers. The French being French planted vines in the area around the 1850s. But a freeze took out the vineyards and the railroad skirted through Spokane instead, nipping this agricultural center in the bud. Fast forward almost 100 years and Walla Walla is now renowned for its wheat fields, onions and, yep, wines. 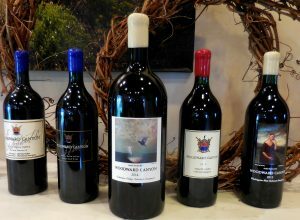 The second and more sustainable wine wave began with four wine pioneers, Leonetti, Woodward Canyon, L’Ecole and Waterbrook. The wine revival came in the late 1970s, when these pioneering vignerons embarked on planting vineyards in the valley. From those early days, some 100-plus wineries are now producing great wines from about 3,000 acres of vineyards. The top five varieties are Cabernet at 36 percent, Syrah at 18 percent, Merlot at 16 percent, Cab Franc at 7 percent and Malbec at 4 percent. While standing in line waiting for a pour at one of the newest wineries, The Walls, I slid left to Tertulia Cellars for a sip. And oh my! Time is the best way to describe Tertulia’s winemaking philosophy. Winemaker Ryan Raber poured the 2015 Carménère; 2015 GSM, dubbed Great SchisM; Ryans’ Reserve; and 2013 Phinny Hill Vineyard Horse Heaven Hills Cab. I learned some interesting things from Raber. For instance, the GSM stands for “Grenache, Syrah and Mourvedre” and is called Great SchisM. This wine comes from The Rocks AVA. The estate vineyard is called Riviere Galets, which is French for river of rocks. And quite literally, the ground is covered with rocks, much like southern Rhone. Another unusual process was aging in large neutral French oak barrels called fudre for 16 months. These larger barrels were used to lessen the impact of the slow oxidation in the traditional barrels. Since the wines spend less time in oak, more of the fruit character is preserved. The Ryans’ Reserve, a blend of the traditional Bordeaux grapes, is named for Winemaker Ryan Raber and Vineyard Manager Ryan Driver. The grapes are from their Elevation Vineyard, terraced at 1,500 to 1,700 feet. The Elevation Vineyard is quite unique. With soils composed of silt and basalt, this vineyard was not planted but rather drilled. Yep, they used jackhammers to drill the holes to plant the grape vines. The resulting harvests are small but the fruit is concentrated. A blend of 83 percent Cabernet Sauvignon with a little Merlot and Petit Verdot, Ryans’ Reserve is also unique in the way it is racked. 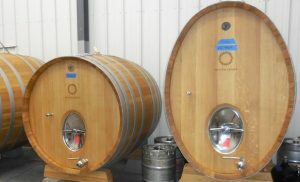 After 22 months in oak, this wine was racked using the old-world technique of “soutirage,” a process of racking the wine without a pump from barrel to barrel before bottling. These old-world traditional techniques are pretty rare anymore, with only a few wineries or even Chateaux using this technique, which softens the tannins. One great Bordeaux chateau that continues with this process is Cheval Blanc. And Rader and I had a chuckle remembering good old Miles from the movie “Sideways.” You remember the guy that drank the spit bucket? Very gauche. But that was not half as wicked as his next conflagration – drinking his most prized bottle of 1961 Cheval Blanc from a styrofoam cup, alone. We all know the best way to enjoy Cheval Blanc, Tertulia or any wine is together with family and friends and in a wine glass. Cheers! Harvest is over. Crush is complete. Punch-downs and pressings are nearly finished. The wines from the 2018 vintage are fermenting awaiting the next stage. The year’s busiest shift for a winemaker and his crew is winding down. With the intense harvest season in the rear view mirror, now’s the perfect time to celebrate! Harvest wine tours abound this month. Each region has their own special way of celebrating. Here’s a list of regions to visit and wines to taste. Most events take place in the next few weeks, just in time for you to try something special and snag it for Thanksgiving dinner. The Harvest Wine and Cider Tour on the Olympic Peninsula is self-guided with small batch and award winning wineries and cideries from Chimacum to Port Angeles. These small craft wineries and cideries will throw open their doors and welcome you and your friends on November 10th and 11th. 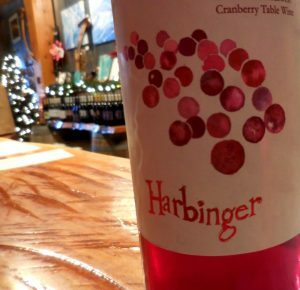 At Harbinger Winery on the far side of Port Angeles, they are serving up a palatial tour of northwest bounty with award winning wines paired with slow cooked pot roast with root vegetables, apple and chevre bites, and a wild mushroom and sausage quiche. I envision lounging on the couch sipping great wines and enjoying the repast. One of my favorites is their Barbera, a wonderful wine that is crisp and perfect with a bowl of hearty stew. Their Bolero is a blend of two prolific Spanish grapes, Tempranillo and Garnacha aged in Hungarian and American oak. 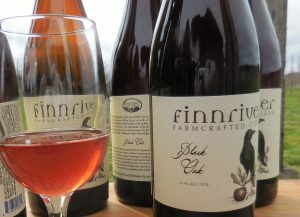 Finnriver Farm and Cidery makes all kinds of great ciders from traditional cider apples from their 50 acre Chimacum Valley farm. Last spring, I was invited to Finnriver for lunch (catered by the Port Hadlock Inn) and a property tour as part of the Taste Washington on the Farm event. I was greatly impressed with this sustainable operation with many partners. This is so worth the visit, if you’re interested in traditional cider apple varieties, lambs, geese, herb farming, restoring a salmon creek or incredibly delicious ciders. At the event and most weekends, you can taste a slice of wood fired pizza hot off the Dented Buoy oven made with local seasonal ingredients. Nestled in the woods by Port Angeles, Camaraderie Cellars will be serving up the newly released 2015 Sangiovese and 2014 Merlot paired with the Turkey Pumpkin Chili and pheasant sausage. This Award winning winery is all about big reds made for the dinner table. Tickets for this Tour are available at Brown Paper Tickets and will get you a free tasting at each of the wineries, a commemorative wine glass and perhaps a bottle or two to grace the Thanksgiving table? 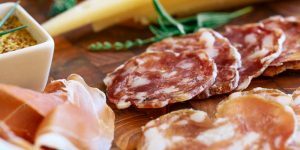 Bainbridge Island’s annual Wine on the Rock presents a Wine & Charcuterie Weekend on November 10 and 11th, just in time for your Thanksgiving Dinner menu planning. Bainbridge Island winemakers will be on hand babysitting fermentations, pouring or just greeting their visitors. This is a marvelous opportunity to meet with the winemakers, from 12-5pm on both Saturday & Sunday. Tickets are valid for both days (one visit at each winery) and includes the usual event wine glass, wine tasting at each winery, charcuterie to complement the wine tasting, and a four bottle wine tote. Note: Amelia Wynn Winery will not be open for this event. Instead, their downtown Winslow Way tasting room will be open to taste and buy their fabulous wines. From Friday, November 9 through Sunday, November 11th, a fabulous wine tasting takes place in and around Prosser in the Yakima Valley. The Drink Prosser Wine Club Experience is a wonderful opportunity for wine club members of participating wineries to be a guest member of other participating Prosser wineries. Grab your pass from your “home winery” and enjoy member benefits throughout town. And if you’re not a participating Prosser winery club member, you can still purchase a pass and be a Prosser Winery member for a day! These itineraries are free, self-guided and pay-as-you-go experiences. When you register for free, you do get perks at the winery of the weekend. Such as waived tasting fees and 10% off a purchase of two bottles or more. There are also many regions that traditionally host Thanksgiving in the Wine Country. More on that and what wines work best with that traditional turkey dinner next time. Cheers! Wandering Walla Walla continued …. For 25 years, Woodward Canyon’s Old Vines Cabernet sported a portrait on the front label and a local history lesson on the back. The portraits were of early Walla Walla developers who were influential in Walla Walla’s agricultural, banking, or governing. I was especially impressed with the three ladies, Lettice Reynolds, Mabel Anderson and Annie McC. Mix, who were prominent in high society, philanthropists and benefactors of Whitman College. For an interesting look at 1900s Walla Walla, check out the labels here. Woodward Canyon Estate Vineyard was first planted to Chardonnay in 1976 on the Small family’s wheat farm. The canyon was named for A. P. Woodward an early Walla Walla Valley soldier, stockman and farmer. Mr. Woodward came to Walla Walla County in 1852, did some soldiering and bought a 400 acre farm in the canyon that now bears his name. This introduction was made on the inaugural 1981 Old Vine Cabernet Dedication Series. The Woodward Canyon Artist Series began in 1992. This is a fuller bodied Cabernet from some of the oldest and renowned vineyards in the Columbia Valley. Each year features a different artist with the original artwork hanging in the tasting room in Lowden. The 2014 label was the work of Linda Lowe of Gig Harbor. The grapes for the Old Vines and Artist Series Cabernet are sources Columbia Valley’s Sagemoor Vineyards from a section planted in 1972. Woodward Canyon is a partner in Champoux Vineyard, also planted in the 1970s, in the Horse Heaven Hills appellation also part of the Old Vines and Artist Series Cabernet. Walla Walla is a small town of 25,000 and connections in the wine industry are inescapable. For instance, Gilles Nicault made his Washington winemaking debut at Woodward Canyon. Nicault is now Long Shadows’ Director of Winemaking, the second winery on the Rick Small and Jordan Dunn Small WWander itinerary. Long Shadows Vintners is just a short jaunt from Woodward Canyon on Frenchtown Road, a fitting road name for this winery. Long Shadows is named for the people who have cast long shadows across the wine industry. It’s a Who’s Who of winemakers from all corners of the wine world. Founder Allen Shoup, met many of winemakers, viticulturalists and vineyard owners during his 18+ years at the helm of Chateau Ste. Michelle. Long Shadows Vintners is a collection of exceptional wines showcasing Washington fruit fermented and blended by several internationally acclaimed winemakers. As director of wine making, Nicault has overseen the crafting of Chester-Kidder, a Cabernet Sauvignon/Syrah blend, Poet’s Leap Riesling and Saggi, a super Tuscan blend of Sangiovese and Cab. Atlas Peak’s esteemed Randy Dunn fashions Feather, a mountain grown Cabernet; John Duval, best known for his years at the helm of Australia’s Penfolds Grange, crafts Sequel; rising star Philippe Melka produces Pirouette, a red blend; and Pomeral’s Michel Rolland, a right bank Bordeaux wizard, conjures up Pedestal from 100% Merlot. 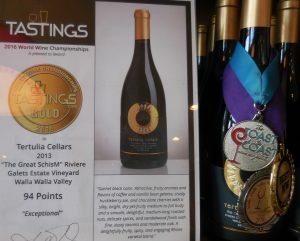 Another connection – South of town is Tertulia Cellars. Jordan Dunn Small managed Tertulia Cellars tasting room and sales before joining the family at Woodward Canyon. The tasting room and winery overlooks the Péntaque field. We were treated to the Viognier, Syrah, and the award winning Great Schism, a Rhone blend of 50 Grenache, 40 Syrah, 7 Cinsault and 3 Mourvedre. And we learned the rules to play Pétanque. The number 1 rule is you must play with a wine glass in hand. Easy! Pétanque is a game where the goal is to toss or roll hollow steel balls as close as possible to a small wooden ball called a cochonnet, while standing inside a circle. It’s played in facilities called boulodromes which have gravel surfaces. Very fun. Prior practice pitching softballs, putting and pool served me well. Our next stop was a local taco joint Mi Pueblito where we picked up some chips, three very good salsas, pombazo and tacos to go. I chose the pombazo because I had never even heard of it. it turns out to be Mexican bread. This particular dish was a bun about 8″ in diameter and filled with potatoes with chorizo. We enjoyed the food at Burwood Brewing Company’s new taproom at the airport. Another connection – Burwood Brewery owner David Marshall taught Jordan’s husband how to brew beer. And Marshall spent a few years in the wine industry as assistant winemaker at Long Shadows before switching over to brewing instead of fermenting. A Master Brewer, he worked for a few years at Pyramid before opening his own brewery. He uses local malts and Yakima hops and also makes a tasty root beer. WWander Walla Walla Wine Country is truly a wonderful wine experience. Curated by 10 very cool Walla Walla winemakers, each itinerary is a same-day, pay-as-you-go experience with suggestions to local favorite places to eat, taste and explore. Exclusive tastings, helping out with harvest, winemaker talks, property tours, wine club member benefits for the day or complimentary tastings are perks that await! All you have to do is register for the Saturday of your choice at WallaWallaWine.com/WWander Registration is free. So pack your bags, register to wander and explore these excellent Walla Walla Valley itineraries. Cheers! The Walla Walla AVA was established in 1984 with only four wineries, Leonetti, Woodward Canyon, L’Ecole No. 41 and Waterbrook. It was unique at the time not only because there were only four wineries but because approximately 57 percent of the vineyards were in Washington, the other 43 percent were in Oregon. With few vineyards planted, those wineries sourced grapes from Columbia Valley. 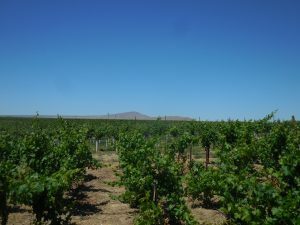 While many of today’s wineries continue this practice, the increased vineyard size allows some wineries to put the Walla Walla AVA designation on their wine labels. Wineries must source at least 85 percent of the grapes from a specified area if that area is on the label. A mere 23 years later, thanks to a combination of climate and charm, Walla Walla boasts almost 130 wineries and more than 2,960 acres of vineyards. Walla Walla wineries and tasting rooms are spread around six designated areas: airport, downtown, westside, eastside, southside and Oregon. So now imagine, it’s fall, the leaves are turning and crush is just about over. You’re in Walla Walla wine country, map in hand. 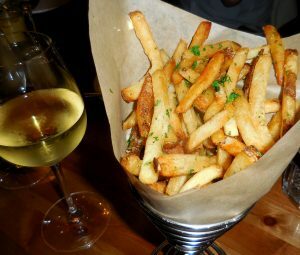 You’ve picked a favorite winery to visit but need to break for lunch. Or you’re in a downtown tasting bar and you want to figure out what other tasting bars or wineries are within walking distance. Or maybe a place to rent a bicycle and take a leisurely ride or go for a run. Well, cool news! The Walla Walla Valley Wine Alliance has cooked up wonderful wine experiences called “WWander Walla Walla Valley Wine.” These Saturday itineraries are curated by 10 pretty cool Walla Walla winemakers. Each itinerary is a same-day, pay-as-you-go experience with suggestions by the winemakers to their favorite places to eat, taste and explore. They offer perks such as exclusive tastings, helping out with the harvest, winemaker talks, property tours, wine club member benefits for the day or complimentary tastings. All you have to do is register for the Saturday of your choice at WallaWallaWine.com/WWander Registration is free and you get an official badge to wander like a winemaker. We recently did a trial run and I can tell you, this is a real treat. This partial itinerary was compiled by Woodward Canyon’s Rick Small and Jordan Dunn Small, first- and second-generation owners. The first stop on the tour was breakfast at the Colville Street Patisserie. 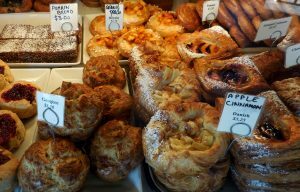 Owners David Christensen and Tiffany Cain’s case displays mouthwatering classic French pastries. We had to make the hard choice of which to have with the locally roasted freshly brewed coffee. So I picked two, one with coffee and one for later. We took a stroll through the 115-year-old Pioneer Park, designed by the celebrated Olmsted Brothers of Central Park fame. There’s a lot to take in — the beautiful old sycamores, the aviary, and an incredibly whimsical sculpture by Tom Otterness to name a few. On to Woodward Canyon’s tasting room, located in a beautifully restored farmhouse next door to the old tasting room, a converted machine shop. The complimentary estate vineyard tasting will give you a sense of the vineyard’s maturity and the winemaking that is more French in style with balance, complexity and the ability to age gracefully. We tasted the Estate Sauvignon Blanc sourced from 15 year old vines, fermented in stainless and briefly aged in neutral oak. It was wonderfully crisp, full bodied and well balanced, a perfect food wine. Next, the 2014 Barbera was juicy with plenty of dark fruits and acidity, the kind that makes you wish for a plate full of sliced tomatoes sprinkled with balsamic, olive oil and shaved parm. The family has been working with clones and root stock to prepare for the coming climatic changes. We tasted the Estate Cab where a blend of three clones produce a wine with dark fruits, bright acidity and a long finish. The 2013 Reserve was a blend of 33% Merlot, 33% Petite Verdot, 22% Cab Franc and 12% Cab. It’s also a blend, this time with 13 clones that give it depth and richness not found in wines this young. With some age, this wine will be stunning. We finished up with the 2013 Erratic, a southern Rhone blend of Mourvedre, Syrah and Grenache. This gorgeous wine is big with rich raspberry and spice flavors. It would accompany a leg of lamb perfectly. Woodward Canyon Estate Vineyard was first planted to Chardonnay in 1976 on the family’s ranch. In addition to the Chardonnay, it’s now planted with Cab, Merlot, Sauvignon Blanc and Cabernet Franc with a few rows of Barbera, Dolcetto, Mourvedre and Grenache. 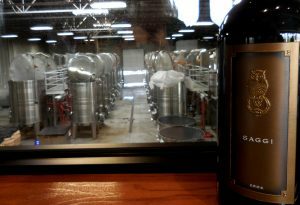 The winery continues to purchase grapes from Columbia Valley’s Sagemoor Vineyards where a section planted in 1972 is part of the Old Vines and Artist Series Cabernet. Woodward Canyon is a partner in Champoux Vineyard in the Horse Heaven Hills appellation also part of the Old Vines and Artist Series Cabernet. Next on the itinerary was lunch at Brasserie Four. It’s a local favorite, with amazing moules-frites and Coquille St Jacques. We took Rick and Jordan’s advice to indulge in a glass of something imported with lunch. The J J Prum Kabinett was a standout. Mouthwatering French cuisine and an amazing collection of wines by the glass and by the bottle. What more could you ask for? A trip focusing on wine, food and the obligatory after-indulging exercise in the Walla Walla Valley is a slice of heaven. It can also be a bargain when you keep in mind that this is the shoulder season and many area hotels and airlines offer lower rates. So pack your bags, register to wander and explore these excellent Walla Walla Valley itineraries. And remember, your first case of wine flies free.